As it became clear that Narendra Modi of the opposition Bharatiya Janata Party (BJP) was going to win big in India’s massive national elections commentators began to read the tea leaves. Some looked to Israel. “Israel’s best friend in South Asia,” Palash Ghosh at International Business Times declared. Noting that the countries only established relations in 1991, he argued that the BJP had been an architect of warmer Israel ties in the early 2000s and pointed to Israeli business relationships that Modi had cultivated in Gujarat, where he was state governor since 2001. But outside of the realm of practical economic and political ties, the real reason Modi matters, in terms of Israel and other countries, are shared affinities for preserving uniqueness in a globalized multi-cultural world. Both India and Israel are nation states emphasizing a national and ancient religion. The BJP and Modi are often derided in the media as “hardline.” The BBC, for instance, claimed that “the Hindu hardline party’s poster boy is often called the BJPS’s brightest star.” The party is described as “Hindu nationalist” and “right wing.” This is in order to separate it from the party the media, in India and abroad, has adored; the Congress party that has been run by the Nehru-Gandhi (no relation to Mahatma Gandhi) family since independence. In essence this royal dynasty of Nehru Gandhi (prime minister 1947-64), his daughter Indira Gandhi (prime minister 1966-77, 1980-84), her son Rajiv Gandhi (prime minister 1984-87), his Italian wife Sonia Gandhi and her son Rahul Gandhi have sought to turn India into a personal fiefdom. Indira Gandhi was not averse to using all the powers of the state to enforce her rule through a “state of emergency” declared from 1975-77 in which India basically became a one-party dictatorship; tossing opposition politicians into prison through “administrative detention.” During that time the government rolled out a “family planning” sterilization program that affected millions and was criticized as semi-compulsory for how it targeted the poor. Under Congress India pursued ill-thought-out “five year plans,” along the lines of typical socialist experiments, that led to economic failure, chronic corruption and economic stagnation. 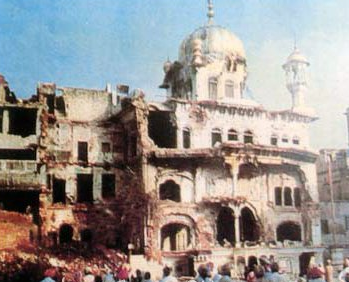 Mass unrest also plagued the country; Indira Gandhi ordered the military to raid the Sikh Golden Temple at Amritsar in Operation Blue Star in 1984, in revenge for which her Sikh bodyguards murdered her. Rajiv Gandhi’s involvement in the Sri Lankan civil war also resulted in his assassination by Tamil extremists. In comparison the BJP party, which was founded in 1980, sought to provide India a mooring in its ancient and gloried Hindu history. In an article in The Nation, the author, Bob Dreyfus, claims we should “worry about the election of Modi” because he was once a member of the Rashtriya Swayamsevak Sangh (RSS), a massive volunteer society, sometimes called “paramilitary,” which claims five million active members and runs 27,000 schools. The organization claims that, “the RSS is a pro-Hindu organization, and being pro-Hindu doesn’t mean it is anti-Muslim or anti-Christian. In fact the basic founding principle of the RSS is ‘Vasudhaiva Kutumbakam’ – the vision of the whole world as one family. The guiding principles towards this vision are voluntary service to the nation for socio-economic welfare and development.” The BBC has a different take: “[I]t was founded in the 1920s with a clear objective to make India a Hindu nation, [and] functions as an ideological fountainhead to a host of hardline Hindu groups.” The ideological underpinning of Modi’s origins and the RSS are the concept of Hinduvta (“Hinduness”). When Modi went to Varanasi, a Hindu holy city, in April, he placed a garland around a statue of Swami Vivekananda, a Hindu monk who led a national awakening in the late 19th century. 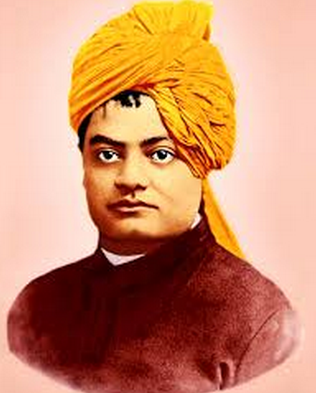 One author writes that he “sought to place Hinduism within the context of resurgent nationalism’ and emerged ‘as a proponent of a strong, virile and militant ideal of the Hindu nation.” Alongside Vivekananda’s more humanistic nationalism, there emerged thinkers who articulated a tougher stance. Madhav Sadashiv Golwalker claimed: “We were the good, the enlightened people. We were the people who knew about the laws of nature and the laws of the spirit. We built a great civilization, a great culture and a unique social order.” Another leader of Hindutva was Syama Prasad Mookerjee, one-time minister of industry; he died in a prison cell in Kashmir, having been arrested while protesting for the rights of Hindus to live in the disputed province. ONE HAS to understand Hindutva against the backdrop of its struggles. It began as a movement to revive the gloried history of Hindu rule in India against the backdrop of British colonial rule, which many Hindus saw as eroding their status and harming their religion and culture. During the independence struggle these activists objected to Gandhi’s seeming appeasement of Muslim nationalists. In the period before independence many Muslims demanded not only autonomy but also requested the Indian National Congress support various Muslim causes, such as the resurrection of the caliphate after the defeat of the Ottoman Empire in 1918. Mookerjee, for instance, witnessed the mass slaughter of Hindus in Bengal in 1946 during the Noakhali massacres, when Muslim mobs, fed by rumors at the end of Eid al Fitr, attacked Hindus in the lead-up to the partition of Bengal into what became Bangladesh. 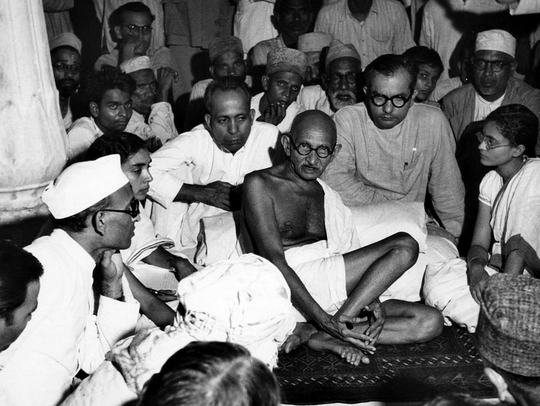 Gandhi’s response was to tour the area and speak about peace, but those like Mookerjee understood that when partition came, mass violence would result and fasting and talk of peace would not help. What the Hindutva activists demanded, especially after India was partitioned and seven million Hindus and Sikhs were ethnically cleansed from Pakistan and Bangladesh, was that India represent its Hindu past. In essence they could not understand why Pakistan became a Muslim state, full of Muslim nationalist and Islamist parties and suppression of minorities, while the one Hindu majority state in the world had to be a fully multi-cultural and secular state. While advocating for the primacy of Hindi as a language and greater reverence to the country’s Hindu past; they were active against the slaughter of cows, and other issues. They also demanded that the country stop providing special status for Muslim personal law (such as the right of a man to divorce his wife by saying “I divorce you” three times). They demanded a uniform civil code so that minority groups would not have special personal and marriage laws while the majority Hindus had to live under a secular legal system. In 1992 many Hindutva activists participated in the attempt to reclaim the Ayodha Babri Masjid, a mosque built over a Hindu temple in 1528. The resulting riots led to the destruction of the mosque; but not the rebuilding of the Temple, which has been caught up in archeological debates and legal tangles. The world needs more leaders like Modi, not because of his checkered past, but because we need to not fear national, linguistic and religious pride and nation-states that respect their origins. He focused on his humble origins, as a poor tea-seller at a railway station, and how he turned Gujarat into an economic miracle. Voters agreed: “Congress has been in power since independence, they say all the right things, but look at the condition of the country,” one told The New York Times. The Congress party talked about the “right to food” for the poor and more subsidies, but Modi talked about an India where people don’t need subsidies and bread handouts because they will be living a better life free from the shackles of socialism. Congress romanticized rural India, while its elites live ensconsed in wealth, while Modi was from urban India and is seen as understanding the burgeoning urban classes. In many ways the demonization of Modi and Hindutva is similar to that which Israel’s Right, national-religious sectors and Zionism have been subjected to. Both Israel and India were born the same year, and while Jews and Hindus were expelled from Muslim states, they saw demands that their countries function as liberal multi-cultural states next to a mass of Muslim nations that are unabashedly religious and nationalist. The insinuation is that it is somehow wrong or “hardline right wing” to have an avowedly Jewish or Hindu state. For instance, commentators claim that Modi will antagonize relations with Pakistan – without asking why Pakistan bankrolled the terrorists who murdered 164 people in Mumbai. No one blamed Pakistan’s “moderate” leaders for antagonizing India. The world needs more leaders like Modi, not because of his checkered past, but because we need to not fear national, linguistic and religious pride and nation-states that respect their origins. And minorities need Modi too; because for all the talk of the secular and socialist elites; they did nothing for India’s Muslims except keep them in poverty and reliant always on government. ← Historic blindness: Why let ‘iNakba’ tell Israel’s story?